The Great Khali, Superstar of the WWE, is Pounding That Banana! Oh, to be a bananafeeder to the Great Khali! It’s not about glory, it’s about making a difference. Look out for the mushy brown spots, oh great one! When It Comes to Clandestine Celebrity Pounding, Nobody Does It Like Gisele! The composition on this Pounding is truly EPIC. The flowers, the green bean, the straw, the lightly pursed lips – this is how Pounding is supposed to be done. Awesome use of green space! We could watch her Pound It all day long! 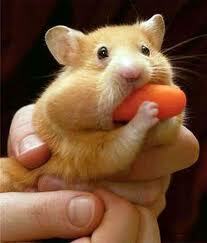 Tangelo the Hamster is Pounding It! You probably don’t know Tangelo yet. We saw this little guy in a one-rodent show in the Lower East Side. He blew us away. And even better, dude knows how to Pound It! This kid is gonna bust Hollywood wide open! Tangelo is on Atkins, trying to tighten it up! A special message to Lola Berry, Celebrity Pounder! Lola Berry, this post is for you. We hear you’re going to be in Los Angeles soon, and there is a very special place that we want to steer you to. 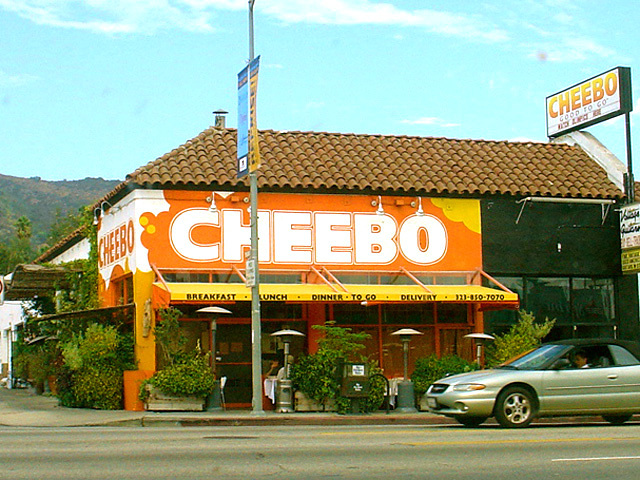 That place is Cheebo. 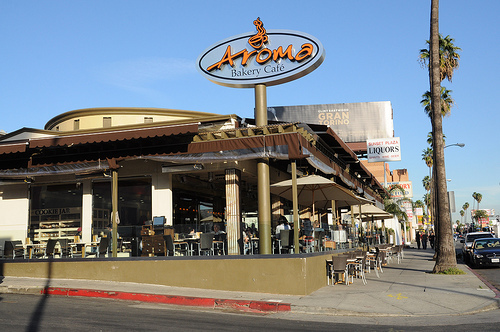 After Cheebo, take a walk a few blocks east past Guitar Center and stop in at Aroma Bakery Café – AWESOME PASTRIES! 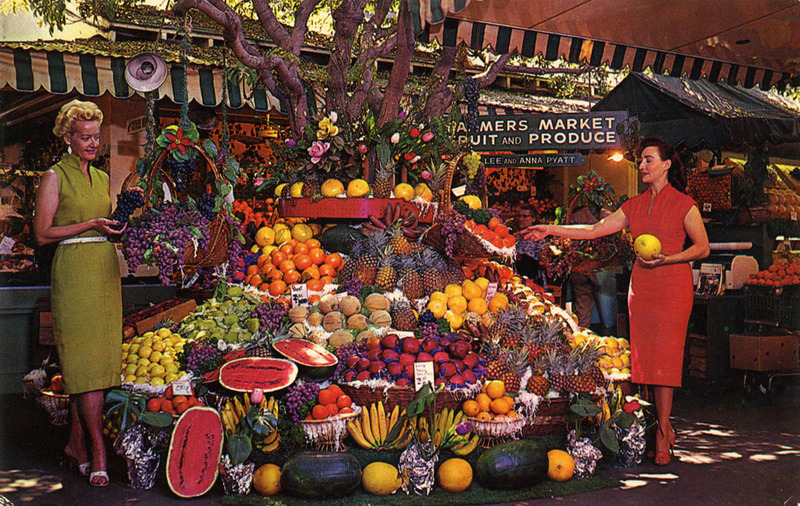 There’s a Farmer’s Market near West 3rd Street and Fairfax, just east of Beverly Hills. Haven’t been there, but the Farmer’s Markets are always the best place to get some b-roll footage, don’t you think? Plus, live music and beautiful people. LA has a lot of famous food – Pink’s Hot Dogs (overrated), Fatburger (awesome), In–N-Out Burger (very salty), but one of our favorite stops was in Santa Monica, right near the beach. 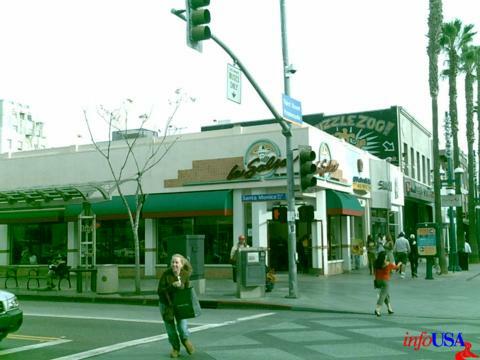 They call themselves La Salsa, and they make one of the tastiest little burritos I have ever had. And if you’re thinking of heading south to San Diego, make a stop in San Juan Capistrano, where the swallows return every year. And get another burrito at the little stand across the street from the Mission. Lola, we at CPI hope you have a WONDERFUL time in Los Angeles, and if you decide to hike it up to Seattle, let us know. We will shuttle you around personally! Take care, and safe travels! Lola Berry is one of our Favorite Pounders! Yummo! Lola Berry is a rock solid Australian vegetarian nutritionist hottie! What a babe! Check her out at www.lolaberry.com, and follow her on Twitter at @yummololaberry – you won’t regret it!